"We hypothesize that the [federal and state nutrition] policies will be associated with improvements in body weight outcomes among children, but we know from our prior research that some schools have more healthy food in their communities and others do not. So these differences could enhance or undermine the effects of those policies," said Sanchez-Vaznaugh. The researchers will compare the body weights of fifth, seventh and ninth graders who attended California public schools during the periods before and after the policies were implemented. The study will link that data to the food outlets or restaurants located near the children's schools during the same time frame to assess the role of the surrounding food environment. Geographic Information Systems (GIS) researchers in SF State's Department of Geography & Environment will help collect data and map the location of food outlets near the schools. Sanchez-Vaznaugh says socioeconomic status and race/ethnicity are important determinants of child health and related disparities. "One of the policies we are looking at could have the potential to reduce disparities in childhood obesity," said Sanchez-Vaznaugh. "Given that two of our major public health goals are to eliminate health disparities and prevent obesity, there is a need for effective interventions that can prevent obesity early in life." 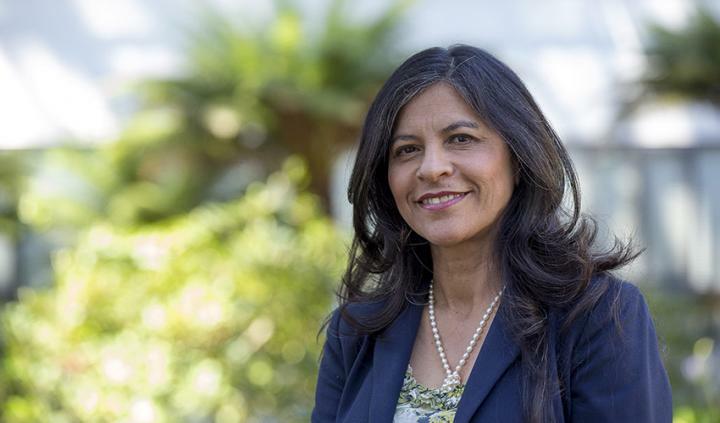 Sanchez-Vaznaugh hopes her study will inform future policies. "We will look at interventions that aim to make changes in schools and that could even inform policy making at all levels," she said. "Compared with interventions that encourage individuals to change their dietary behaviors, policies have the potential to make a large impact on many children by improving their food environments. The obesity epidemic is one of those types of issues that require effective policy-level interventions."